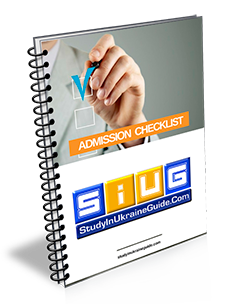 The choice of study language is a vital decision students need to make during their journey of studying in Ukraine. As is expected, most students prefer to study in languages that are native to them, for example English language for native English speakers. 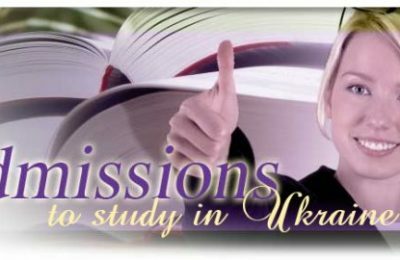 However, while some courses are available for study in English language, a good majority of the courses are only available for study in the native Ukrainian or Russian language. This article is not about the courses available for study in English or the native Russian language, but some vital information the student ought to know prior to making a decision on the language choice, when such a choice exists. We’ll start with the historical evolution. Ukraine, as a former Soviet republic was part of an exchange program operated by the former Soviet Union, in which international students of member countries were offered scholarship education. Russian language was the central medium of communication among the Soviet states. International student beneficiaries of the scholarship exchange program, therefore, had to go through a mandatory one year language preparatory program in order to acquire the language proficiency required for enrolling into the main university program. The end result was an additional one year to the student’s overall study period. In return, the student learnt the local Russian language, and is awarded a certificate of proficiency in Russian language upon successful completion of the degree program. With the break up of the Soviet Union, many hitherto member countries of the Soviet Union could no longer sustain the scholarship program, financially. Consequently, they introduced payment module for international students, and also started introducing the use of their own indigenous native languages besides the former central Russian language. In Ukraine, Ukrainian language was introduced as an official national language, and became adopted in schools and universities and is gradually replacing Russian language as a study language. With international students having to henceforth pay for their tuition, the additional one year of language studies became a considerable financial burden. They called out, and requested for the introduction of English language, for study purposes, to curtail both the time and financial investment. Some universities responded, and introduced English language only for the most popular faculties among international students. First, it was introduced to the medical faculty, later to computer science / engineering and gradually into some social science / management courses. Notice the use of “some universities”, as even presently, many universities are yet to introduce English or other foreign languages as a teaching medium. The universities that do have the provision to teach in a foreign language, limit it to a handful of faculties that are of high interest among foreign students. Native Ukrainians study only in the local Ukrainian or Russian language. The courses that are offered in English medium are set up exclusively for the foreign students. In fact, it has transformed into a commercial activity. Owing to the obvious additional cost implications due to exclusivity and the commercialization, tuition for courses are way higher when offered in a foreign language than the same course offered in the local Ukrainian or Russian language. After four or five years period for a degree program, the overall cost may no longer become more economical than studying in the local Ukrainian or Russian language. The major comparative advantage for studying in English then becomes the time factor, if its benefits outweighs other parameters to be discussed later. 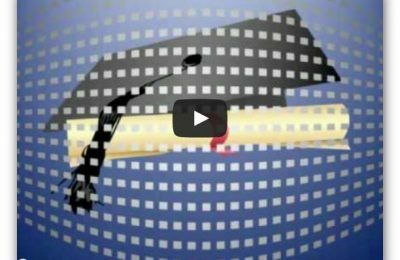 with an understanding of the background evolution, let us look at the comparative peculiarities of studying in English language and in the native Russian of Ukrainian language. Studying in a familiar language, with ease of understanding for native speakers of the language. No need for a one year language program, saving time and associated cost. Easy professional integration in an English language society, being already conversant with professional terminologies. More expensive than same course in the native language, excluding the cost of language program. Need for terminology familiarization upon practice in an English language society. Comparative financial comparison for overall tuition cost for computer engineering in English and Russian language, at Donetsk National Technical University (DonTU). The arbitrary choice of DonTU for analysis is due to their narrow gap in the tuition fees for the same course in English and the native language. From the example calculation above, the additional financial cost of studying in the local Ukrainian / Russian language over studying in English language is a total of €550.00, for an undergraduate program in Engineering. For courses with wider margin between the tuition in English and the local Ukrainian / Russian language, the overall financial differential cost will even be much smaller, or even become savings. When you add up this financial differential cost, along with accommodation and cost of living for the one year period of the preparatory program, you will arrive at the total financial cost of studying in the local Language over English or any other foreign language. When considering the lifetime value of learning another foreign language at a professional level, with certification, considering the additional cost and a one year additional time investment, the option of studying in the local language may have a strong argument in its favour. 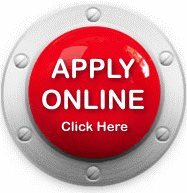 Most importantly, knowing the pros and cons of both language options, along with the additional cost or saving, the candidate is in a better position to make an informed decision on which language is best for the student’s interest in the current circumstance and in the future. With special emphasis on medical students, it is common knowledge that they spend a good proportion of their academic time in hospitals, during clinical with patients. In Ukraine, these patients will be 98% natives. Effective communication with patients have been identified as a challenge to most medical students studying in English, as their patients are natives that do not speak English language. For many medical students, studying in English language, this a big challenge. Identifying this, the Jordan government recently made it mandatory for all Jordan medical students coming to study in Ukraine to go through a mandatory language program even if they will eventually study in English language. This ensures that the medical students gain enough knowledge of the native language, enabling more effective communication with patients during clinical, which will in turn boost their practical medical knowledge and experience. In this context, the language program actually help medical students in Ukraine graduate as better doctors. Usually, international students that opt to study in English are believed just for their words, without any test of language proficiency. However, it was recently observed that many of such students are not so knowledgeable in the command of the language. As a result, some universities are currently introducing English language proficiency test. Only students that pass such test are allowed to continue their studies in English language. Students that fail the test will have to enroll for their program in the local language, after a language program. English language, as a teaching language in Ukraine, is relatively recent and was introduced to cater specifically to the international students’ community. As a result, the introduction was targeted at courses of high demand by foreign students such as in the medical & Engineering fields. With Ukraine’s growing popularity as a destination for quality and affordable higher education, more universities started adopting the use of English language as a teaching medium. Over the years, it is also expanding to include other courses with growing demand by international students, such as Social Sciences & Management. International students planning to study in Ukraine should consider the choice of the learning language an important decision to make, after thoroughly weighing the options, and then decide on what serves their best interest not just presently, but also looking into the future.